Ray is well known within the area, having risen to prominence as a Detective Superintendent with Cleveland Police, and gaining a national reputation as ‘Robocop’ for his fight against crime and criminals. In May 2015, he became a Trustee of the Foundation, and in August 2016 he took up the role of Chair of Trustees. Ray’s life has been devoted to public service, with an emphasis on helping children and young people: he truly believes that young people are the only guarantee for the future. Stewart was born in Middlesbrough and grew up in the Linthorpe area. His parents were passionate Boro supporters and Stewart’s first taste of football included watching Brian Clough and Alan Peacock. 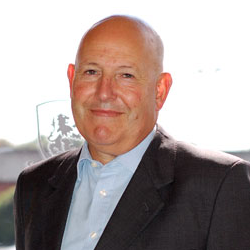 Stewart joined the Smith family personal credit business after graduating in business studies at Teesside Polytechnic (now Teesside University) in 1972. He became owner and driving force behind the family business in 1994, leading the acquisition of John Ramsdens Pawnbrokers in 2002. 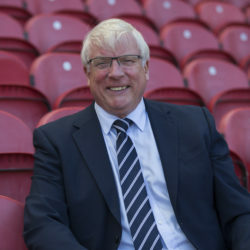 Stewart was owner and Executive Chairman of MFC’s main shirt sponsor Ramsdens Financial Ltd (Ramsdens) until 2014. In 2010, Stewart was voted the North East Business Executive of the Year. He is currently a non-executive director of The Lakes Distillery Ltd and an independent member of the Tier 1 Capital PBLT PLC credit committee. Stewart has worked closely within the communities in Teesside all his career and is passionate about raising aspirations. He considers his role as a MFCF Trustee and member of the Foundation Finance sub- committee, as fundamental to helping those local communities through sports and enterprise related initiatives. Joanne’s career spans over 25 years working within the Tees Valley, County Durham and North East area and with an extremely successful career to date Joanne has recently taken up a role as Business Relationship Specialist for Stockton Borough Council. A role which recognises Joanne’s strengths in building and developing long term meaningful relationships. Joanne is an experienced specialist, working with and influencing North East Businesses and recognised as one of the North East Best Connected Individuals have ensured that Joanne has been named as one of the NE’s most Influential 500 and considered to be one of the most influential people in the business community within the Tees Valley. Joanne is delighted to be appointed as a board member of the Charity and is keen to play her part in the development of the foundation and continuation of the fantastic work that has achieved to date. 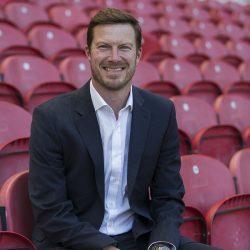 After a management career that has taken him to Panama and Switzerland, Neil initially joined Middlesbrough Football Club in in 2007 as Chief Operating Officer to review the club’s operational and commercial activities, including all customer-facing aspects. He was made Chief Executive in March 2012 after nine months doing the job on an interim basis. Neil had previously worked with chemical companies such as ICI and more recently Syngenta. Neil is delighted to be a trustee of MFC Foundation and thinks the work carried out by the Foundation has fantastic benefits for the community. Neil believes it is important to raise aspirations of young people and adults across Teesside and firmly believes the work of the Foundation is making a positive difference. Robin was born in Stockton on Tees and has lived in the Teesside and surrounding area all his life. He is a solicitor and following being a partner initially with Jacksons and subsequently Dickinson Dees, he now works as Group General Counsel for The Gibson O’Neill Company Ltd. When Senior partner at Dickinson Dees he was an active member of CBI North East, where he served as Chairman, and NECC, where he was on the Regional Council. He is currently a Governor of Teesside University. 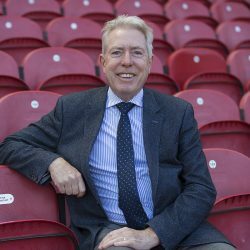 Robin is passionate about Teesside and believes the work of MFC Foundation is one way to assist in raising aspiration of those who live here through the power of football to engage communities in ways that other are unable to do. Graham is a Chartered Accountant and Chartered Tax Adviser and is a director of The Gibson O’Neill Company Limited, the holding company of Bulkhaul Limited, Middlesbrough Football & Athletic Company (1986) Limited and Rockliffe Hall Limited. Graham qualified as a Chartered Accountant in 1978 with a small firm in London before joining Price Waterhouse. He transferred to Leeds in 1984 and became a partner two years later, specialising in tax. In 2003 Graham transferred to PwC’s Newcastle office to take responsibility for the tax practice there, and in 2007 he took over responsibility for the tax affairs of the Gibson O’Neill group and Steve Gibson. On retirement from PwC in 2009, Steve Gibson invited Graham to join the group. Peter Rowley spent over 30 years in senior roles in banks and building societies before retiring as chief executive of Darlington Building Society in 2009 after 17 years in post. Since then, he has enjoyed a second career providing advice and guidance to a diverse range of private, public and not for profit clients. A Fellow of the Centre for Governance, Leadership and Global Responsibility at Leeds Beckett University undertaking Doctoral research into the board effectiveness of National Governing Bodies of Sport, he lectures in economics, finance and strategic management in sport at 3 universities and is a consultant on governance and assurance for 2 grant making trusts. Peter believes passionately in the power of sport to change lives and communities for the better and received the OBE for services to sport administration in the New Year Honours List 2017. Yasmin has worked with communities and particularly women in addressing inequalities in the field of employment, education and training. 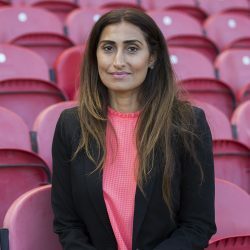 Establishing a Strategic Community Partnership to provide support for Forced Marriage and Honour Based Violence Victims in the North East of England, Yasmin has established a pioneering programme of work across the Tees Valley This has resulted in developing the first Forced Marriage/HBV case scrutiny group across the UK. Yasmin has a wealth of experience in the field of Equality & Diversity and as such held the position of Chair of the Strategic Independent Advisory Group for Cleveland Police and CPS NE Race Scrutiny Group. Yasmin has successfully led a multi-million pound ESF programme through the EQUAL programme and promoted a cultural shift in the Housing Sector. This programme has mainstreamed BME employment programmes within Europe and the UK as well as improved supplier diversity for SME’s. Yasmin has been awarded the Citizen of the Year and Mayor’s Award for her contribution to the Diversity and Inclusion works she undertakes and in 2014 been involved in a Parliamentary briefing as part of a UK Summit to stop early childhood forced marriages and violence against women agenda. She continues to provide innovation and better outcomes for victims by addressing issues such as lack of housing and inequalities in service provision. Alan was born in Redcar and has lived and worked in the Teesside community all of his life. 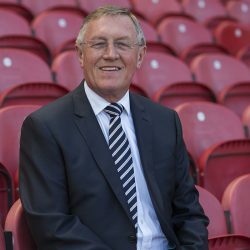 Qualifying as a Chartered Accountant in 1971 with the Middlesbrough office of Peat, Marwick & Mitchell, Alan spent 16 years in the engineering industry in Hartlepool before joining the then Boro shirt sponsor Heritage Food Group. 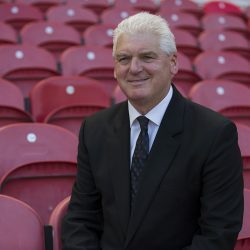 Alan joined Middlesbrough Football Club towards the end of the 1994-95 promotion season as Head of Finance and Administration and was involved in managing the move to the new stadium. 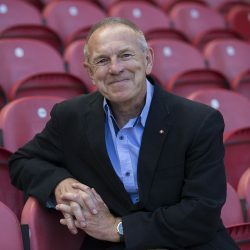 Alan has been associated with the charity arm of the football club since its incorporation as a charity in 1996 based on the original ideas of Steve Gibson. The chance to become a Trustee and be officially involved has proved to be very rewarding. 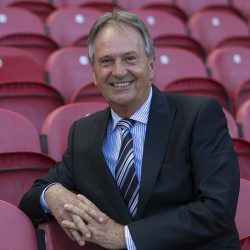 Alan has witnessed at first hand for nearly twenty years the impact of the Foundation upon the young people of Teesside by its association with Middlesbrough Football Club. In the early years the thrill that youngsters experienced when attending courses at the stadium and being shown the pitch and the dressing rooms as part of a stadium tour was immense. The feedback from teachers describing the improvement in pupils’ behaviour when they learnt that they were attending a course at the Riverside was so rewarding. The Foundation has progressed over the years reaching ever wider into the community with project workers now delivering courses in schools and community sports centres, sometimes in early evening hours, in order to reach a wider audience and have a greater impact. We should not underestimate the power of the football club brand in engaging people in life changing activities. During his career John has also served as part of several business management committees, and represented the company on a number of external bodies for example; regional development project group, board member of a JV training organisation. John is a board member of the South Tees Development Corporation and is also Chair of the Board of Trustees at the Teesside Learning Trust (multi academy trust). A keen ‘Boro supporter, John feels that raising aspirations within the local communities is an important factor in assuring the future success of the area. 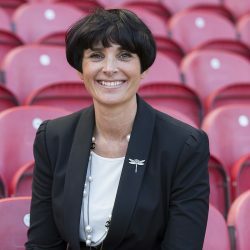 He sees the Foundation, particularly with its association with Middlesbrough Football Club, as being ideally placed to raise standards and provide opportunities for a wide cross section of the local population.